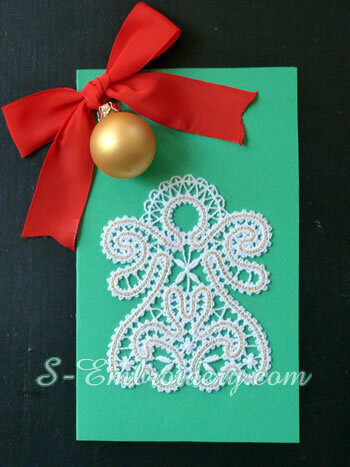 A Battenberg free standing lace Christmas angel ornament. The design is delivered in 2 versions - one with 2 colors and one with a single color. 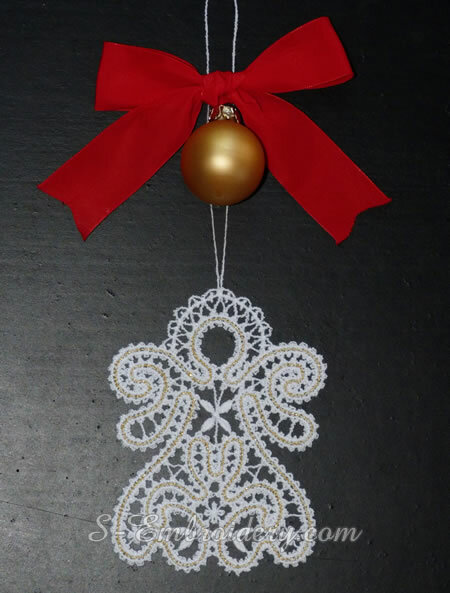 Each of the versions is available both with a hanging loop to create an ornament for the Christmas tree and without a loop - to use for decoration on hand made Christmas greeting cards . 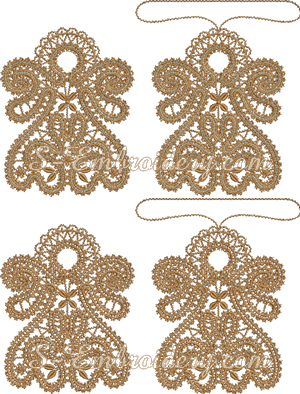 In total you receive 4 machine embroidery files in one of the supported formats and a PDF file with design information and instructions.